Whomp whomp. 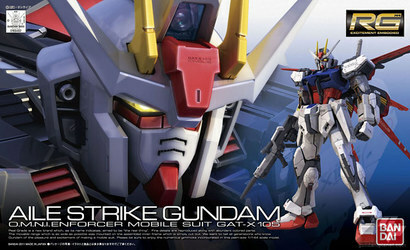 There're no Aile Strike Gundams for sale. The kit is a nice and fun build, similar to the other Real Grade kits. I have had problems getting the Aile pack to stay on his back, the pack is just too heavy and falls off. The head on my kit was also pretty loose.